LOGIX was founded in 1976 and is located in Livonia, Michigan, a few miles east of Ann Arbor. We have been assisting graphics professionals, photographers, and law enforcement investigators make the transition from traditional film to digital imaging. For over 33 years, we've successfully implemented a wide variety of color-managed digital imaging systems for both large and small photography studios, sport and event photographers, medical centers, educational institutions, and other corporate and small business environments. 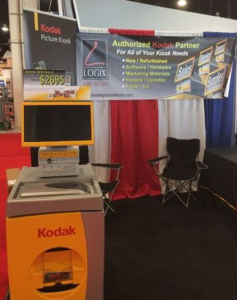 Our product line includes Kodak, Fuji, Epson, Xerox, X-Rite, Noritsu, Sony, and many more. 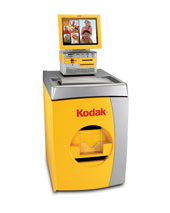 From the world leader in photo kiosk technology, Kodak's new generation of consumer photo kiosks can help you to take advantage of the new trends in digital photography. 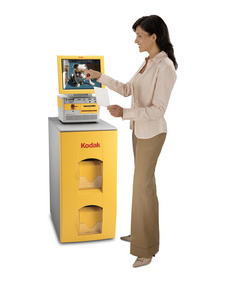 Kiosk printing is now the fastest-growing form of digital printing and Kodak leads this market by a whopping 72%. Build traffic and increase revenue for your high-traffic retail outlets. No More Waiting In Line! With wait times longer than 5 minutes overall pharmacy satisfaction declines. In about a minute, customers can pickup and pay for their prescriptions. It gets them out of line and lets the pharmacy staff spend extra time with customers who really need it. With ScriptCenter, consumers can shop on their own schedule and conveniently pickup their prescriptions even after the pharmacy has closed.